It’s the worst drought in at least 100 years. Possibly the worst in 300 years. I’m not talking about Iran or Syria or California or Sao Paulo or the Caribbean or Somalia or Yemen or India or a hundred other places that have suffered severe drought and related water crisis during recent years. This time, I’m writing about Cape Town, South Africa. For Cape Town, the dry time began two years ago. A strong El Nino initiated a warmer, drier than normal weather pattern. Accelerated by much warmer than normal global temperatures, what would have typically been a milder period of heat and drought bit deep into South Africa’s reservoirs. These hotter temperatures associated with human caused climate change enhanced evaporation causing both lands and lakes to give up their precious moisture at a much faster rate. El Nino has since moved on and the La Nina months are here. But the blistering drought remains. Stuck in a self reinforcing cycle of heat and lack of rainfall. After such a long period of such abnormal punishment, the reservoirs that feed Cape Town are on the brink of running out. With supplies dwindling, residents of this major city and tourist destination have been slapped with serious water restrictions. Each has been asked to use just 87 liters of water per day. That’s about 1/4 the average use for an American. One that provides precious little for washing dishes, taking showers, flushing the toilet, doing the laundry, preparing food, and drinking. But only about half of Cape Town’s residents are complying with the restriction. In the Cape Town region, crushing drought continues unabated. And as a result of the combined lack of compliance with rationing and lack of rain, the reservoirs are swiftly falling. By February 1, Cape Town will ask residents to adhere to a draconian 50 liter water restriction. And if that doesn’t work, if the rains don’t somehow miraculously come, then Cape Town will effectively run out of enough water to fill pipes. Under this very difficult scenario, water pipes to everything but essential services like hospitals would be cut off. Residents would be forced to make daily treks to one of 200 outlet pipes to fill up water bottles. If this happens, then Cape Town will be the first major city in the world to be forced to fully cut off its municipal water supply. The day on which this historic and ominous presage of climate change related water difficulties is predicted to happen is a moving target. And lately the target has been moving closer. Ignominiously called Day Zero, the water cut-off date for Cape Town as of last week was April 21 of 2018. This week, due to failure to adhere to water restrictions and due to unrelenting drought, that date has jumped to April 12. That’s 79 days left until Cape Town’s taps run dry for the first time since that city, or any other major city, possessed a municipal water system. This event is happening in a hotter than normal world. It’s happened due to a drought that has been enhanced by that very heat. And it’s happening following an 80-year-long period of declining rainfall for the Cape Town region. Let us hope for the city’s sake that the rains return soon. Let this serve as yet one more warning to us all. Climate change is generating a much more difficult water security situation for pretty much everyone. It’s just a simple fact that the more heat you have, the more evaporation that takes place. And it’s a more intense rate of evaporation that enables both worsening drought and increased risk of water shortages as we’re seeing so starkly now in Cape Town. Back in 2005, and again in 2010, the vast Amazon rainforest, which has been aptly described as the world’s lungs, briefly lost its ability to take in atmospheric carbon dioxide. Its drought-stressed trees were not growing and respiring enough to, on balance, draw carbon out of the air. Fires roared through the forest, transforming trees into kindling and releasing the carbon stored in their wood back into the air. These episodes were the first times that the Amazon was documented to have lost its ability to take in atmospheric carbon on a net basis. The rainforest had become what’s called carbon-neutral. In other words, it released as much carbon as it took in. Scientists saw this as kind of a big deal. This summer, a similar switch-off appears to be happening again in the Amazon. A severe drought is again stressing trees even as it is fanning wildfires to greater intensity than during 2005 and 2010. Early satellite measures seem to indicate that something even worse may be happening — the rainforest and the lands it inhabits are now being hit so hard by a combination of drought and fire that the forest is starting to bleed carbon back. This gigantic and ancient repository of atmospheric carbon appears to have, at least over the past two months, turned into a carbon source. Though the story of human-forced climate change starts with fossil-fuel burning, which belches heat-trapping carbon dioxide into the atmosphere, sadly, it doesn’t end there. As that burning causes the Earth to heat up, it puts stress on the places that would, under normal circumstances, draw carbon out of the atmosphere. The carbon-absorbing oceans, boreal forests, and great equatorial rainforests all feel the sting of that heat. This warming causes the oceans to be able to hold less carbon in their near-surface waters and sets off droughts and fires that can reduce a forest’s ability to take in that carbon. In the context of the global cycle of carbon entering and being removed from the Earth’s atmosphere, oceans and large, healthy forests serve to take in greenhouse gasses. We call these carbon sinks, and throughout the past 10,000 years of our current epoch, the Holocene, they’ve helped to keep these gasses, and by extension, Earth’s temperatures, relatively stable. However, for a long time now human fossil-fuel emissions have far exceeded the ability of the world’s carbon sinks to draw in excess carbon and keep greenhouse gas levels stable. Though these sinks have taken in more than half of the great volume of carbon emitted from fossil-fuel burning, the total portion of heat-trapping CO2 has risen from 280 ppm to more than 400 ppm. The oceans acidified as they strained beneath the new carbon overburden. And the forests took in this carbon even as they fought off expanding deforestation. As a result of all the excess carbon now in the atmosphere, the Earth has warmed by more than 1 degree Celsius above 1880s levels. And combined with the already strong stress imposed by clear-cutting and slash and burn agriculture, the added heat is a great strain on an essential global resource. In this tragic context of heat, drought, ocean acidification and deforestation, it appears that the grace period that the Earth’s carbon sinks have given us to get our act together on global warming is coming to an end. Heating the Earth as significantly as we have is causing these sinks to start to break down — to be able to draw in less carbon, as was the case with the Amazon rainforest in 2005 and 2010. At these points in time, the sink was carbon-neutral. It was no longer providing us with the helpful service of drawing carbon out of the atmosphere and storing it in trees or soil. 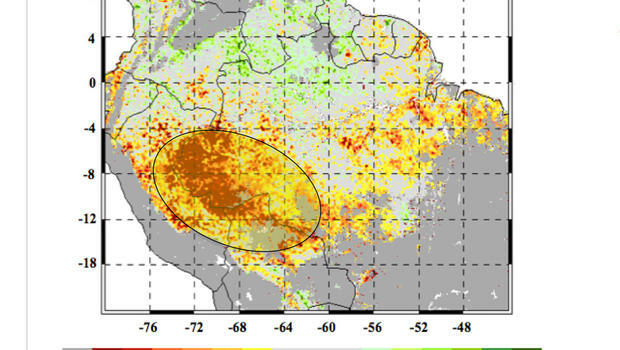 But, more ominously, in 2016, it appears that the Amazon may also to be starting to contribute carbon back to the atmosphere. “Severe drought conditions at the start of the dry season have set the stage for extreme fire risk in 2016 across the southern Amazon,” Morton said in a statement. The Brazilian states of Amazonas, Mato Grosso, and Pará are reportedly at the highest risk. Per NASA’s Amazon fire forecast, the wildfire risk for July to October now exceeds the risk in 2005 and 2010 — the last time the region experienced severe drought and wildfires raged across large swaths of the rainforest. So far, the Amazon has seen more fires through June 2016 than in previous years, which NASA scientists said was another indicator of a potentially rough wildfire season. At the same time that drought and related wildfires were starting to tear through the Amazon, atmospheric carbon monitors like the The Copernicus Observatory were picking up the signal of a carbon spike above the Amazon with methane levels higher than 2,000 ppb (which is often a drought and wildfire signature) and carbon dioxide levels in the range of 41o to 412 ppm. It was a spike comparable to those over industrial regions of the world like eastern China, the U.S. and Europe. In context, these Amazon carbon spikes are occurring at a time of record atmospheric CO2 increases. For the first seven months of 2016, the average increase in CO2 versus 2015 was 3.52 ppm. 2015’s overall rate of CO2 increase in the range of 3.1 ppm year-on-year was the fastest annual increase ever recorded by NOAA and the Mauna Loa Observatory. So far this year, the rate of atmospheric gain in this key greenhouse gas is continuing to rise — this in the context of carbon spikes over a region that should be drawing in CO2, not spewing it out. It’s been ridiculously hot along the unstoppable shrinking shoreline at Lake Mead. Over the past four days, highs have peaked at a scorching 109 to 111 F (42 to 44 C). Similar heat blasted all up and down the Colorado River Basin, squeezing moisture out of a key water supply for 25 million people in California, Arizona, and Nevada. But these record hot days are just the most recent of many for the river and its water. For over the past 16 years the Colorado River has been assailed by drought. A new kind of mega-drought that has almost certainly been spurred by a human-forced warming of the world. A condition of endemic drying that will likely continue to worsen for the foreseeable future. 1072.24 feet — that’s the water level for Lake Mead as of June 21, 2016. It’s about 3 feet below the 1075 mark breached for the first time in the reservoir’s history last year. And if Lake Mead remains below that line by the end of this year, it will mean mandatory cuts to Arizona and Nevada’s water supply. That could happen either this year (2016) or next (2017) and will almost certainly happen by 2018. In fact, the US Bureau of Reclamation predicts a 64 percent likelihood that Lake Mead will not only remain below the 1075 foot level by 2019, but that it will plunge to as low as 1025 feet at that time. This level is only 125 feet above Lake Mead’s dead pool line of 900 feet. And hitting such a low water level would result in mandatory water cuts all up and down the Colorado River Basin. Lake Mead supplies water to 25 million people in Nevada, Arizona, and California. 19 million of these people reside in California alone. And according to the 1922 Colorado River Compact, California retains senior rights to the river’s water supply. What this means is that when there’s a shortage, Nevada and Arizona have to take the first hits. And that’s bad news for the six million people and related industries supported by the river in this region. It means that if the 16 year drought along the Colorado River basin continues — and that will likely be the case due to impacts related to human-caused climate change — then water rationing is almost certain to take effect in Arizona and Nevada over the next few years. If the climate change driven drought continues and Bureau of Reclamation forecasts are correct, then hitting 1025 feet at Lake Mead by 2019 to 2022 will result in The Department of the Interior stepping in to take control of Lake Mead’s water management. At that point, all bets are off even for California — which would likely then see a 10 percent reduction in the water provided to it by Lake Mead. Scientific studies indicate that factors related to human-caused climate change prevent weather systems bearing precipitation from reaching the US West Coast. This problem is particularly acute for the Southwest, where the most intense drying is expected to occur. In addition, added heat — like the record to near record high temperatures experienced across the Southwest over the past few days — results in greatly increased rates of evaporation. So what rain does fall doesn’t stay in rivers or in the soil as long. As you can see in the NASA soil moisture prediction measure above, this added heat due to climate change is expected to make currently bad drought conditions absolutely terrible over the coming decades. NASA notes that reductions in fossil fuel emissions help to blunt the intensity of the coming droughts, but that worsening drought conditions will still occur. Considering the current state of Lake Mead and the Colorado River basin, we are likely to see worsening water cuts to communities across the Southwest as climate change related heat and drought conditions worsen. In Sao Paulo today, a Latin American megalopolis that is now home to 20 million people, public water supplies are cut off for as long as three days at a time. But despite this draconian rationing, the Cantareira Reservoir sits at 9 percent below dead pool. A level so low that utility managers had to install new pipes into the reservoir bottom to tap water supply dregs. A controversial policy due to the fact that drawing water from so low in the pool both results in fish kills and in much more polluted water going into rivers (like the foaming Tiete) and the drinking and bathing supply. At least the dramatic cuts in water usage appear to have slowed to a near halt further water declines from the key reservoir. Levels have remained at around -9 percent below dead pool volume ever since the rainy season ended two months ago. But Sao Paulo still has at least four months of dry season ahead. And the weather for Brazil’s largest city, for most of Brazil itself, for Colombia and for the Caribbean remains exceptionally dry. Much attention has been paid to the Sao Paulo drought. This is likely due to the very dire water situation immediately threatening 20 million people with severe water rationing, increased risk of waterborne illness (see Dengue Fever strikes Sao Paulo), and spurring migration to less water stressed regions. But the quiet truth, less widely reported, is that a massive swath of Latin America is also suffering major drought. 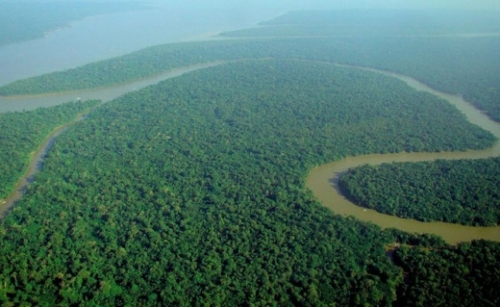 The drought centers over the tree-depleted and human settlement invaded Amazon Rainforest. There half year moisture deficits are in the range of 400 millimeters or greater (16+ inches). A level of extraordinary drought in a region that supplies critical moisture to the surrounding states and nations. Years of clear cutting, slash and burn agriculture, and ramping temperatures due to human-caused climate change have taken a terrible toll on the Amazon. Now its resiliency is compromised with drought a common-place occurrence even as hundreds of wildfires burn away at the forest understory every year. The warming climate (greenhouse emissions based), the water cycle disrupting clear cutting, and the fires all take their toll, resulting in a declining rainforest health and related moisture levels. The worst years of all are El Nino years — when warming Equatorial Pacific waters enhance drought potentials all throughout the Amazon of Northern Brazil. And the 2015 El Nino is no exception, with worsening drought conditions building at center mass over the Amazon River Basin and its related rainforests. 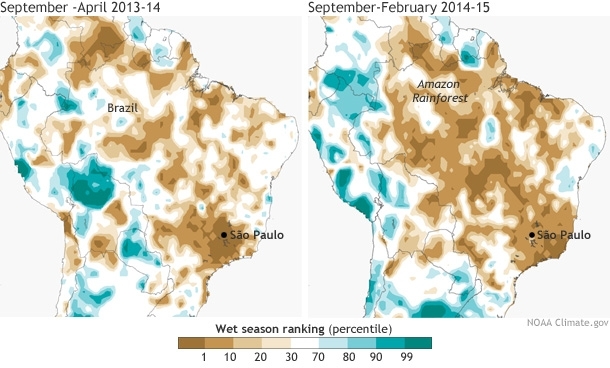 Prevailing and intensifying drought in the Amazon has far-flung impacts. 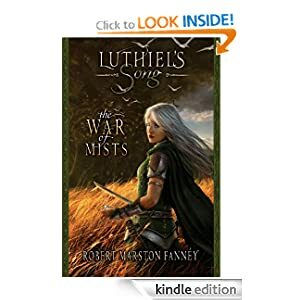 The region acts as a kind of atmospheric moisture reservoir — sending out streams of flying rivers toward the North, South and East. In this way a healthy Amazon rainforest pumps up the clouds over vast regions, enabling rainfall from Colombia to the Caribbean and throughout Brazil. But an ailing, warming, drought-sweltered and clear-cut rainforest loses its ability to send out flying rivers. Instead, it dries out at its heart. For some places in Colombia, this has meant residents suffering through drought for more than three years. In La Guajira, some residents are suffering loss of life due to lack of water and related food stores. The situation is complicated due to the fact that most of the water from depleted aquifer supplies for the region now goes to industrial uses like irrigation-fed international farms or the largest open pit coal mine in the world. This leaves very little water left for residents and what supplies remain are often brackish and polluted. In the Caribbean, more than 1.5 million people are now affected by drought with many also facing severe water rationing. Water shortages, withering crops, dead cattle, and disruption to tourism has impacted far-flung island nations from Puerto Rico to St Lucia to Cuba to the Dominican Republic. In the Dominican Republic, the situation is rapidly worsening with civil engineers stating that many of the island nation’s towns have less than thirty days of water left. Reports from other regions like Haiti are more spotty but indications are that these are also heavily impacted (Haiti is terribly deforested and, as a result, has very little resiliency to any form of extreme weather). With El Nino still ramping up and with global temperatures likely to continue to hit new record highs (due to the heating effect of excessive fossil fuel emissions and CO2 levels hitting above 400 parts per million [above 480 CO2e] for the first time in at least 3 million years) throughout 2015, drought conditions for the Amazon, for Brazil, for Colombia and for the Caribbean will likely continue to worsen for at least the next six months. And to this point it is worth re-stating that crushing drought conditions are not confined to Sao Paulo but instead range from Uruguay through Brazil, Venezuala, Colombia and on into much of the Caribbean Island Chain. 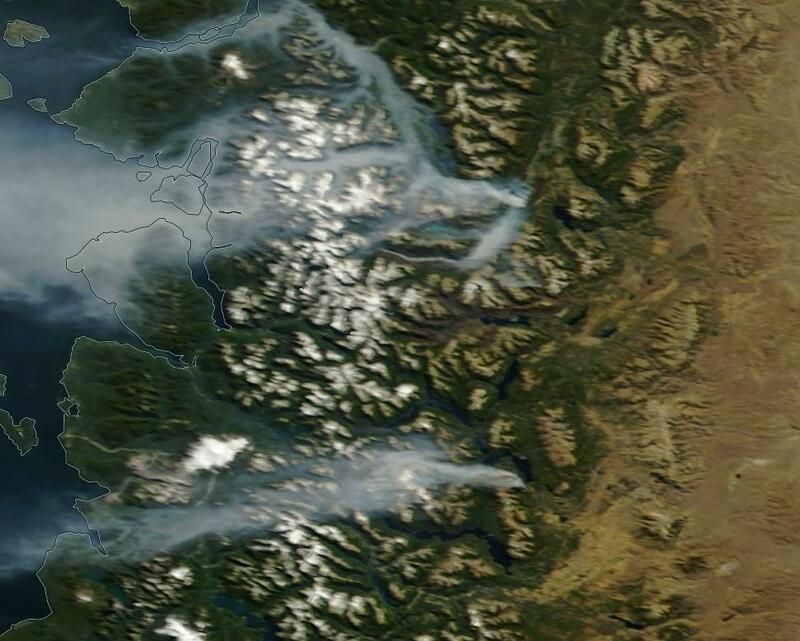 In the National Forests of Chile, it’s been burning since February. An intense upshot of the stifling of water supplies through month after month of heat and lack of rainfall. A kind of intense onset, persistent drought that has become all too common in a world in which atmosphere, ice and ocean temperatures keep rocketing on to new record highs. Starting February 17th, massive fires erupted, spreading swiftly through Chile’s forested mountainsides and valleys, threatening protected woods and endangered species. The fires have continued off and on now for more than a month — fueled by hot winds and a record drought that has forced the nation to build 12 desalination plants in a desperate effort to restore the country’s ebbing water supply. Reports from BBC indicated that today’s fires are burning in three protected national parks: China Muerta National Reserve, Nalca Lolco National Reserve and Conguillio National Park. The fires threaten ancient growth forest that is the abode of the majestic Araucaria araucana trees. A kind of pine that can live up to a thousand years. 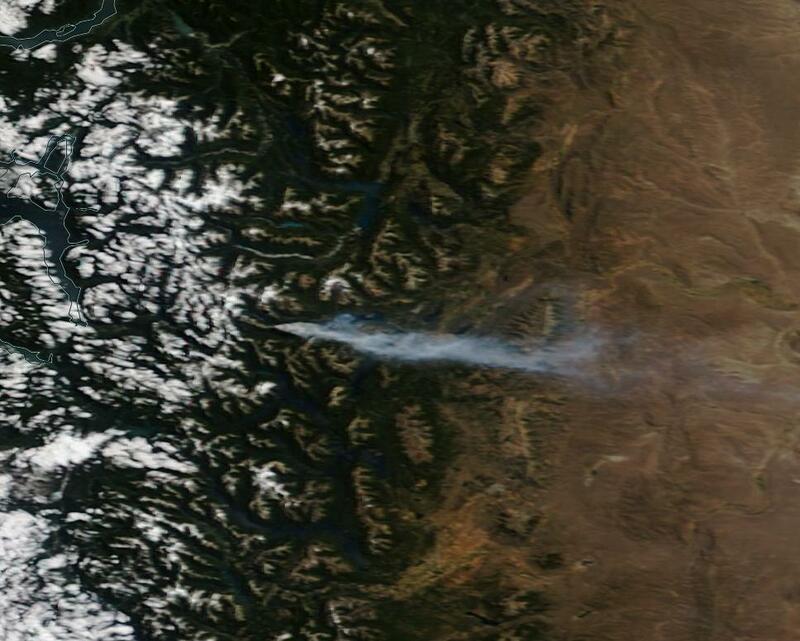 Over 4,500 hectares are now burning and the smoke is plainly visible in the NASA satellite shot (right frame in the image sequence above). Fully fifteen fire brigades are involved in what is currently a massive firefighting effort. Overall, the fires that have been raging for more than a month throughout Chile have consumed an exceptional 91,000 hectares — nearly double the 59,000 hectare per year average over the last five years. Years that themselves experienced increased heat, drought, and burning. 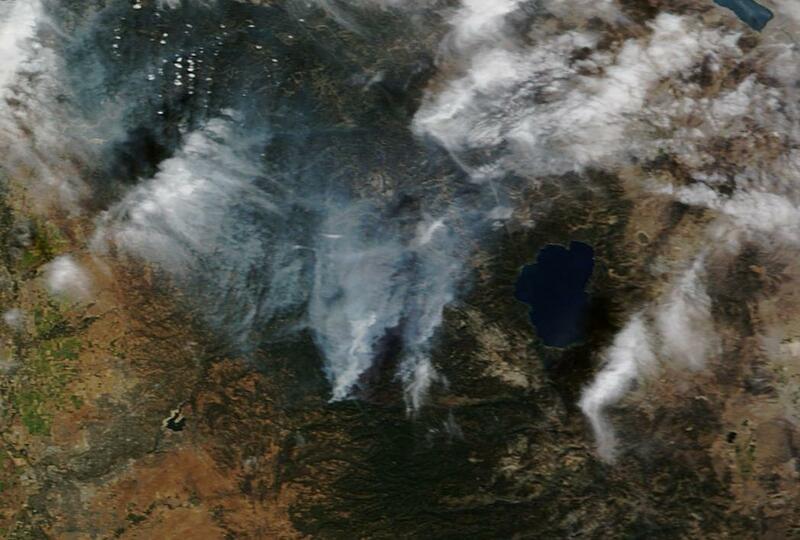 This extreme burning comes as Chile faces a ramping, multi-decadal water shortage set off by human warming. Climate scientists there have indicated a high risk of drastically increased drying throughout Chile over the next 35 years through to 2050 due to climate change related impacts. According to President Michele Bachelet the country’s current drought situation is already at critical stages. Bachelet recently announced millions of dollars in funds to drill for underground water and to construct desalination plants to provide drinking water to fight ramping drought conditions with the ugly prospect of more to come. Though climate change is expected to continue to ratchet down on drought impacts to Chile — increasing heat, melting critical glacial ice, and drying out forestlands — this year, at least, there appears to be some hope for an end to the stifling heat and the ongoing fires. Hints of the first rains of autumn have now begun to show up in Central and Northern Chile. But by 2050 with the world expected to be between 1.5 and 2.5 degrees Celsius hotter than 1880s averages, the autumn rains will have been brutally beaten back — retreating further and further into fall. In that time, the heat and dryness of spring and summer will come early and the great glaciers upon which Chile depends so much for its water will be but wan shadows of former grandeur. If they exist at all. For the cities, towns and villages of Sindh Province along the Indus River in Southeast Pakistan, the seas are rising and the winter rains have failed. It is a place besieged on all sides by climate change. By forces that are killing its children due to malnutrition and turning tens of thousands of its populace into climate change refugees. A combination of rising temperatures and decimation of local forests due to gum extraction has exacerbated an extraordinary moisture deficit for an already arid region. In early spring of 2014, the impacts to crops resulted in scores of children dying due to malnutrition. By late fall, the famine had returned with increased intensity, resulting in the loss of nearly 300 children in less than three months. A tragic loss that may well have been avoided. Increased aridity in the region can be blamed on a number of factors — all related to human-caused climate change. Gum extraction from Gugral trees has resulted in losses of up to 70 percent from local stands. The loss of these tens of thousands of trees has, in turn, resulted in less water retention kicking off increased aridity. Meanwhile, larger global climate change is resulting in higher temperatures over the region — increasing evaporation rates and further lowering soil moisture content. Glacier loss in the Himalayas has recently pushed a surge of added water down the Indus — which helped to boost development unsustainably. Now glacial outflows are at risk of dwindling, threatening the long-term future of the Indus itself. Finally, the increasing global heat is kicking off alterations in seasonal rain patterns — making the winter rains less reliable. The combined factors would be difficult enough for Sindh and its cities to manage. But a final factor appears to be delivering another disruptive coup de grace. 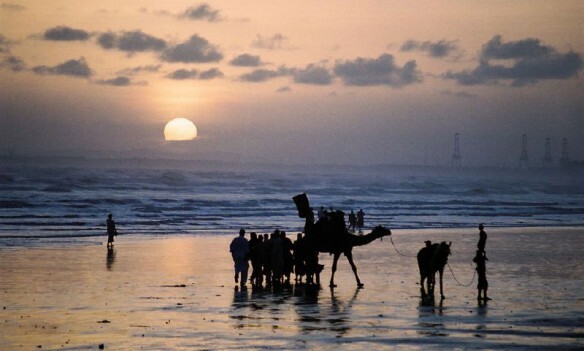 As of mid 2014, environmental reports had indicated a mass migration away from Pakistani coastal regions. Rising seas had resulted in increasing levels of salt water in near-coast aquifers and wetlands. The rising salt levels in soils made irrigation of coastal crops impossible in many regions. Within just a few years, the elevated seas had rendered 1 million hectares of land arid — making it impossible for farmers to grow crops or to raise animals. Both surface water and ground water have become unusable, with the once fertile Indus river basin turning into a desert, as sea water brings sand inland as far as 50 kilometers. In addition, saltwater invasions of the Indus river reduced fish stocks. This sudden loss of water useful to agriculture and precipitous fall in fish stocks suddenly put many farmers and fishermen out of work. By mid 2014, more than 100,000 people had fled the coast. Now, these tens of thousands of jobless farmers and fishermen pack the streets of inland towns — seeking jobs and places to live that simply may not be available. But what this litany of harsh statistics doesn’t tell is how many of the children lost came from families of those displaced by rising seas. 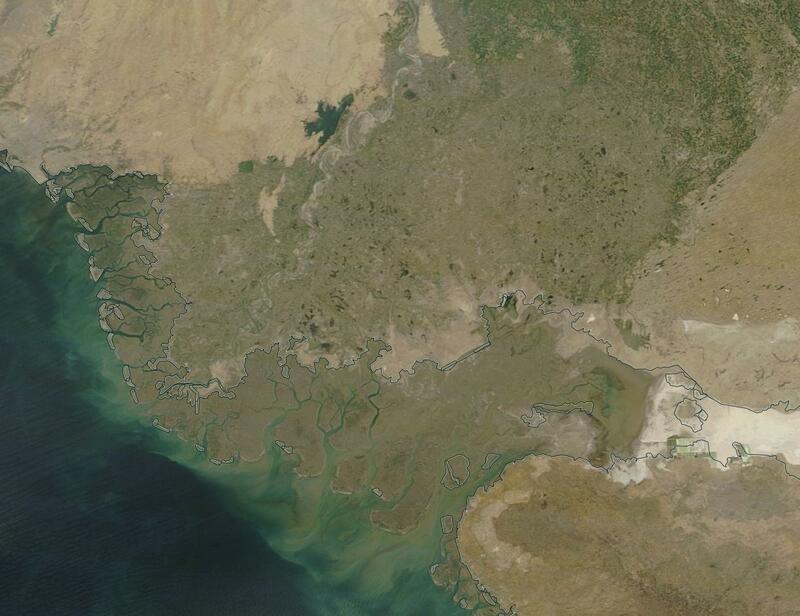 Sadly, this issue of river deltas losing fertility to the inexorably rising tide is not just a problem for Pakistan. Many of the worlds most productive agricultural zones lie in delta regions. At this point, all are under threat due to speeding sea level rise set off by rising rates of glacial melt. And as we have seen in Brazil, California and Pakistan this year other increasing atmospheric temperatures, climate induced weather pattern changes and deforestation (Brazil, Pakistan) also play a role. A powerful storm system off the US and Canadian Northwest Coasts may deliver much-needed rains to central and northern California by Thursday — but not before pulling warm, dry winds up from the south in advance of the storm’s approach. The heat and winds, expected to reach 15-25 mph later today, will heighten danger for the over 7,400 firefighters already battling the 90,000 acre King Fire. As of earlier today, the fire was 35% contained after the army of firefighters, aided by a spate of mountain drizzle, tirelessly worked through the weekend to staunch the blaze. But the new in-rush of hot, dry winds today and tomorrow will fan the still energetic wildfire, increasing the threat to more than 21,000 structures ringing the fire’s edge. Already, ten people have suffered injuries and 32 structures were destroyed even as 2,700 people are currently evacuated from areas most vulnerable to the still-raging fire. Given the influx of more dangerous conditions, fire fighting personnel will be hard pressed to prevent further damage from an already costly and harmful blaze. The King Fire erupted in Central and Eastern California during mid September as century scale drought conditions continued to scorch the state. As of today, more than 50% of the state remains under the most extreme drought level with 100 percent of California suffering from some degree of drought. This past weekend’s light rains did little to help. However, a strengthening storm track in the Pacific is likely to deliver at least some moisture to Northern and Central California by Thursday. A blocking high pressure ridge that has persisted off the US West Coast for more than a year and a half has also shifted — moving inland toward the Central and Western US. 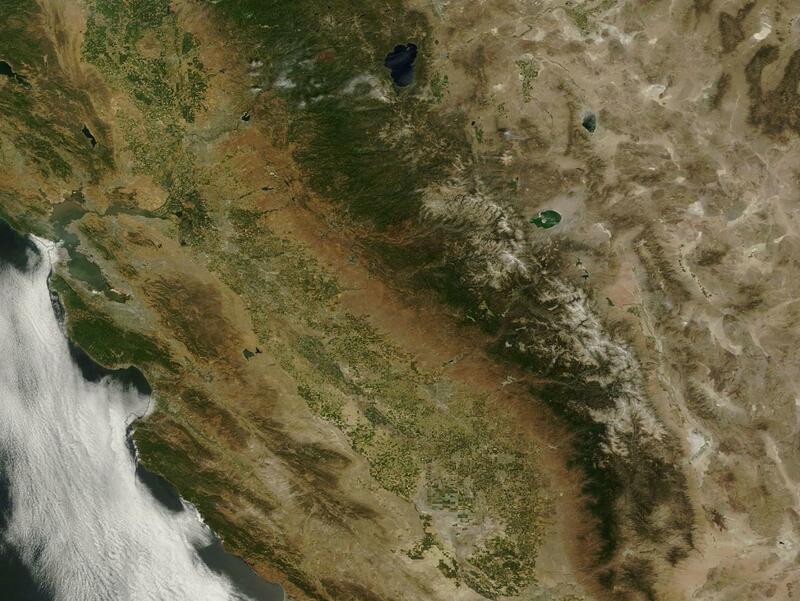 This shift appears to be slowly opening the door to some moisture for California. An atmospheric pattern more favorable for El Nino development may also be favoring increased precipitation for California. However, it is still too early to determine whether a pattern favoring drought reduction is firmly in place. 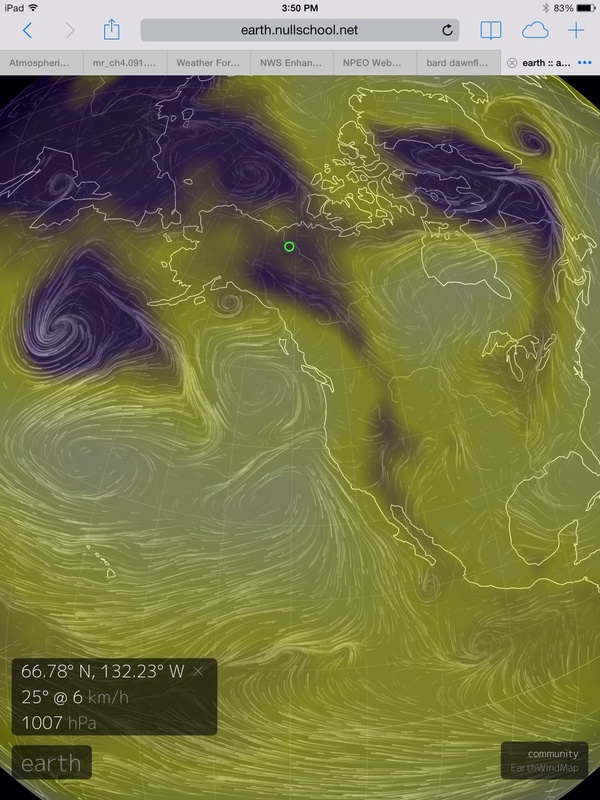 Under the current rapid and powerfully enhancing regime of human-caused heating of the Earth’s oceans, ice, and atmosphere, we can expect the US West and Southwest to continue to dry as the storm track shifts northward and as rising temperatures bake more and more of the moisture out of the soil. A significant increase in the occurrence of drought in the US Southwest since the 1970s is likely a part of this larger trend, one that will almost certainly worsen as human-caused climate change intensifies. 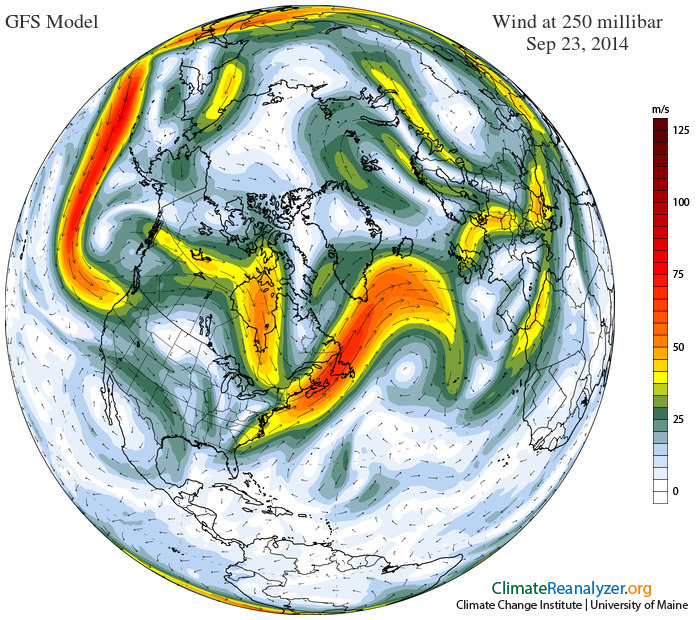 In addition, an increasing eccentricity in the Jet Stream associated with Northern Hemisphere polar heat amplification has resulted in far more persistent weather patterns. 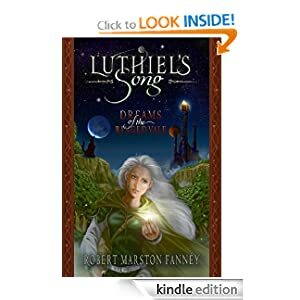 Dome scientific studies have found that these patterns, associated with powerful Rossby-type wave patterns in the Jet Stream, have appeared with increasing frequency since the mid 2000s. As a result, cooler stormier patterns tend to persist in one region while dry, hot conditions have tended to persist in other regions. This new climate regime appears to be enhancing an already amplified drought pattern for the US West even as it has pumped up storm patterns for regions east and north. It is also worth noting that a number of studies have also found a link between major sea ice losses in the Arctic since 2007 and the intensity of the current California drought. There is no relief for poor California. To the west, a heat dome high pressure system sits its dry and desiccating watch, deflecting storm systems northward toward Canada, Alaska, and, recently, even the Arctic Ocean. It is a weather system that drinks deep of Northwestern Pacific waters heated to 2-4+ C above average by humankind’s extraordinary greenhouse gas overburden. A mountain of dense and far hotter than normal air that is shoving the storm-laden Jet Stream at a right angle away from the US west coast and on up into an Arctic Ocean unprepared for the delivery of such a high intensity heat and moisture flow. In the far north, today, at noon local time, in the Mackenzie Delta region of the extreme northwest section of Canada on the shores of the Arctic Ocean, temperatures rose to 80 degrees Fahrenheit, 2-3 degrees hotter than areas of South Dakota and Iowa hundreds of miles to the south. It is a temperature departure 20-25 degrees F above average for this time of year. Far to the south and east, yesterday saw a garden variety pop up thunderstorm turn into a record-shattering rain event for Savannah Georgia, one that dumped 4-10 inches of rain over the region, over-topped ponds, flooded streets, knocked out power and washed out rail lines. In some sections of the city, hourly rates of rainfall were on the order of 4-5 inches. One might expect such a rainfall rate from the most moisture dense and intense tropical storms or hurricanes. The Savannah event was a summer shower driven into a haywire extreme by a heat-facilitated over-loading of the atmosphere with moisture. 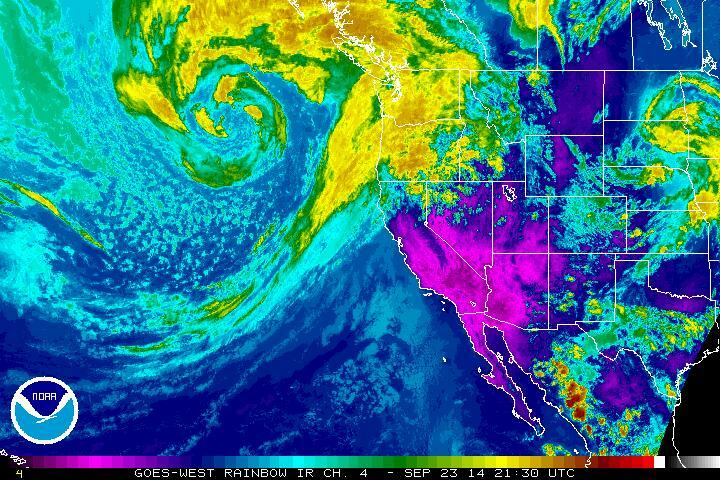 What do the west coast blocking pattern, the California Drought, the Mackenzie Delta Arctic heatwave and the Savannah summer shower turned monster storm have in common? Twelve words: hydrological cycle and jet stream patterns wrecked by human caused atmospheric warming. Californians, at this time, may well be hoping hard for a mutant summer shower like the one that hit Savannah yesterday. But they won’t be getting it anytime soon. The triple barrel high off the US west coast won’t move or let the rains in until something more powerful comes along to knock it out of the way. And the only hope for such an event might come in the form of a monster El Nino this winter. Then, Californians may beg for the rain to stop. But, for now, they’re digging in their heels to fight the most intense drought in at least a hundred years. With no rain in sight, with the snows all gone from the Sierra Nevada mountains to the east, and with both federal and state reservoirs under increasingly more stringent water restrictions, what it means for Californians is incessant drilling. So far this year an estimated 450 million dollars has been spent statewide to plunge ever-deeper wells into the state’s rapidly-dwindling underground aquifers. In regions where a 200 foot well was once considered deep, 600, 800 or even 1000 foot wells are now common. In total, about 75% of California’s lost water supply has been replaced by what essentially amounts to mining ground water. But the drought mitigating flow can only last for so long. And if the rains don’t come, those sources will first dwindle and then dry up. So California’s agriculture and a decent chunk of its other industry may well be living on borrowed time facilitated by unsustainable drilling for water. So for Central Valley residents it’s literally a race to the bottom in the form of who can dig the deepest well the fastest. Above ground, a once lush landscape is now parched and brittle. Most natives, even the octogenarians, have never seen it this dry. More and more, the productive Central Valley is being described as a dust bowl. 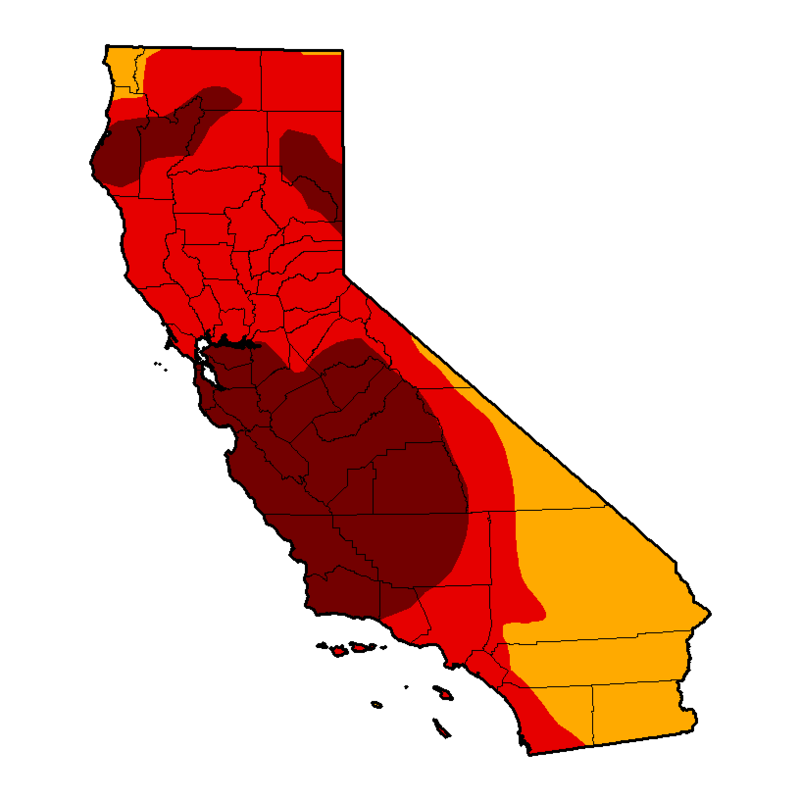 In this case, Dust-Bowlification, a term Joe Romm of Climate Progress coined to describe the likely desertification of many regions as a result of human-caused warming, is hitting a tragically high gear for California. For years, scientific models had shown that the US Southwest was vulnerable to increased drought under human-caused warming. Scientists warned that increased community resiliency combined with rapid reductions in global carbon emissions would be necessary to preserve the productiveness of regions vital to the nation. California is one such region. Its economy, even outside the greater US, is the 8th richest in the world. It is also the US’s largest producer of vegetables, most fruits, and nuts. Other major agricultural production for the state includes meat, fish, and dairy. Though much of the current drought’s impacts have been mitigated through unsustainable drilling for ground water, US meat and produce prices are expected to rise by another 3-6% due to impacts from the ongoing and intensifying California drought. But so far, major impacts due to large-scale reductions in total acres planted have been avoided. Without the drilling, overall repercussions would have been devastating, as planted areas rapidly dwindled in size. But with wells running dry, time appears to be running out.